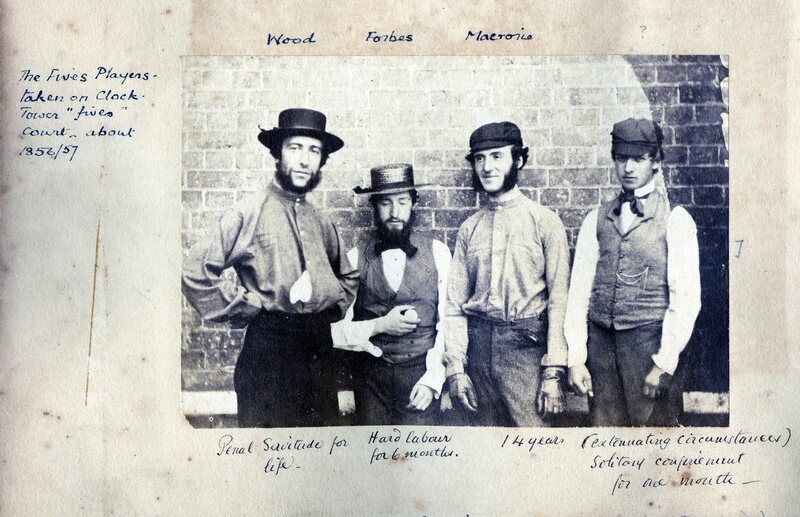 I wish Mr Leigh could have seen a game of football that was played today, about 30 on a side… Cricket is certainly encouraged by us as much as possible… Fives flourishes very much, specially the Winchester Bat Fives, or at least something like it with Bats from Winchester. The game was initially played against the external walls of the Dormitory. 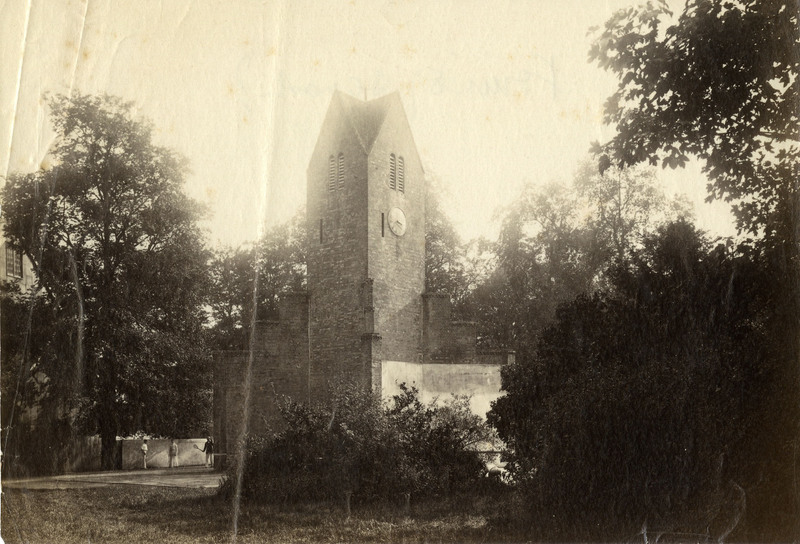 A square bell-tower, now known as Clock Tower, was built in 1847, and diagonal buttresses were added in 1855. This provided four open fives courts, and the game of Radley Fives had begun. One court known as the ‘Pups Court’ has a low back wall – woe betide any lower school boy found walking through this area to lessons! Give that the court now possesses bicycle racks for the catering staff and is a thorough fare for coaches en-route to away matches, this rule is now rather unenforceable. As mentioned, much early play was probably a version of Bat Fives as played at Winchester and other schools, with a flexible bat measuring 21 inches by 4 inches. However, it is said that the game was very difficult to play, rarely resulting in a rally of more than four shots. 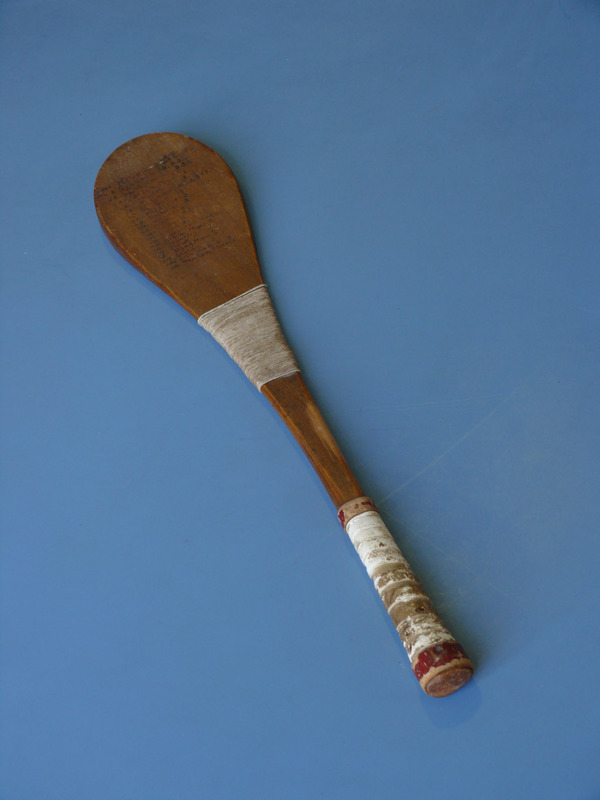 Hand Fives was played alongside Bat Fives, and gradually the bat version of the sport disappeared. 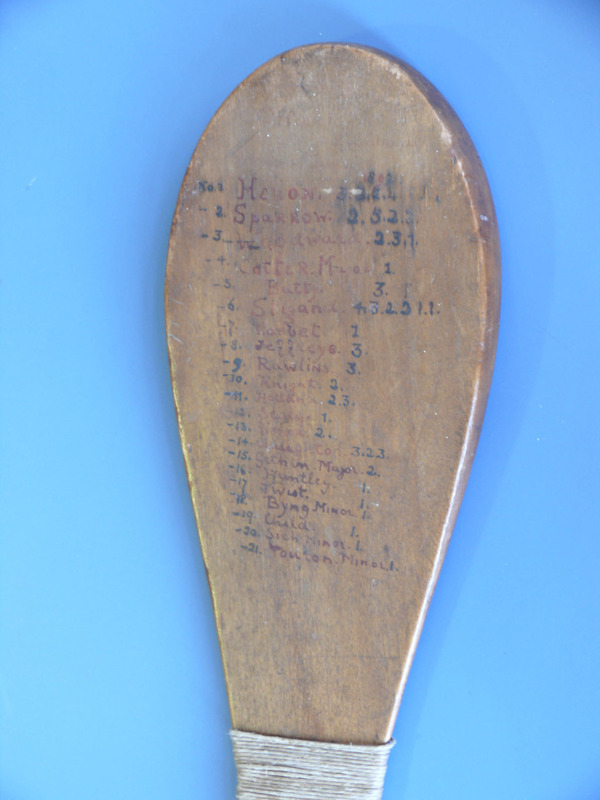 It appears that the bat was just as useful as a method of punishment by prefects: inscribed on the bat kept in the Radley archives are the names of all the boys who suffered under it (and the number of strikes received). The first set of covered courts were built in 1876/77. Later, a new Warden, Rev. Dr Thomas Field took the reins of the school from 1897 to 1913, and it is said that his mind was ‘buzzing with schemes’. 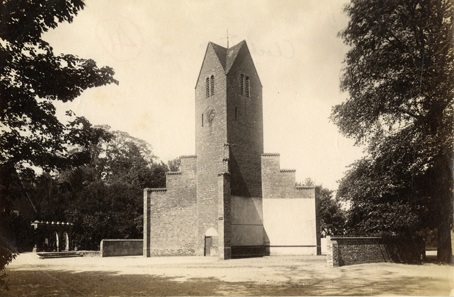 Amongst the provision of many new buildings and modernisations made to the school during this period, he saw fit to build the second set of Fives courts, in the style of those at Winchester. These still stand and are used today. The courts are very satisfying to play on. They are fast, without being overly so, and the bounce is true. The Winchester buttress is not so large that play becomes ‘random’ but a well-played shot will certainly catch an opponent out. 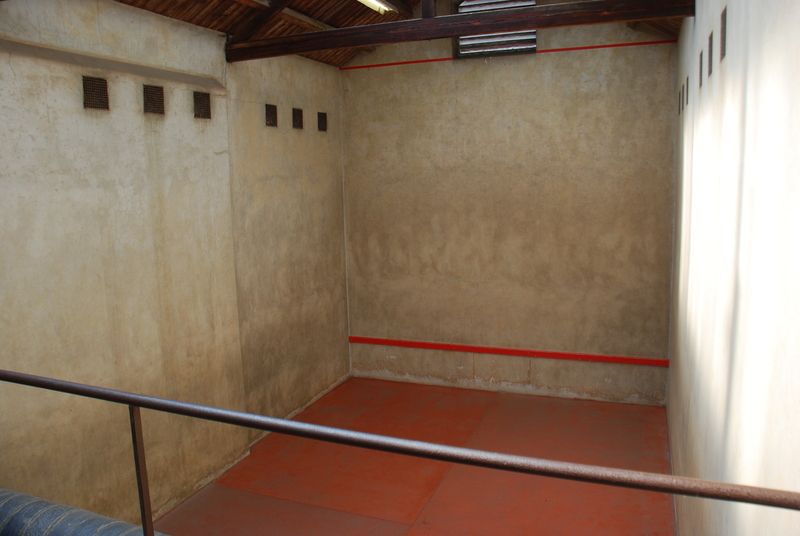 Nowadays, the two courts have slightly different floor surfaces: the East court has a smooth floor, that can become slippery in inclement weather, but the West court has a rougher texture – playable in all conditions but occasionally giving an odd bounce. The doors are centrally positioned. 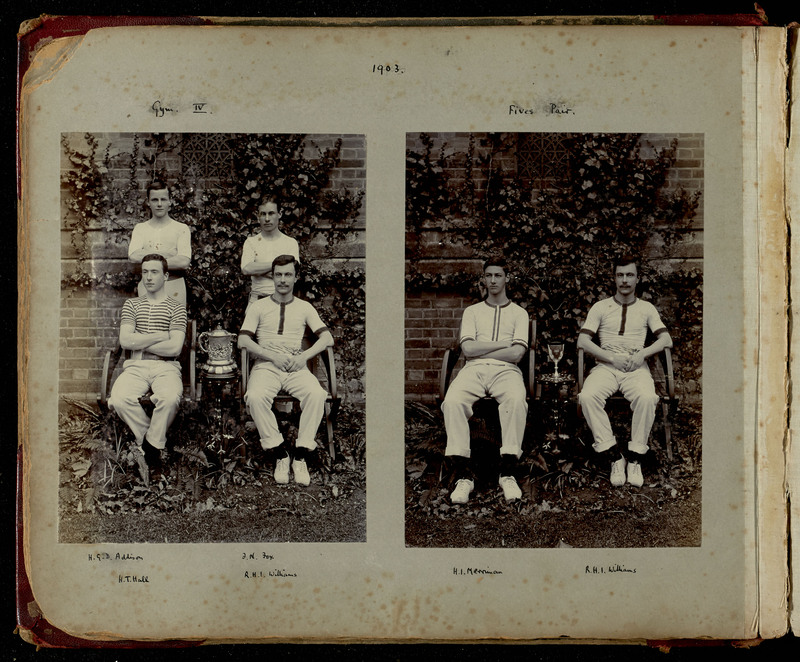 Matches against other schools can be tracked back to 1890 when Malvern visited Radley to play Fives for the first time. 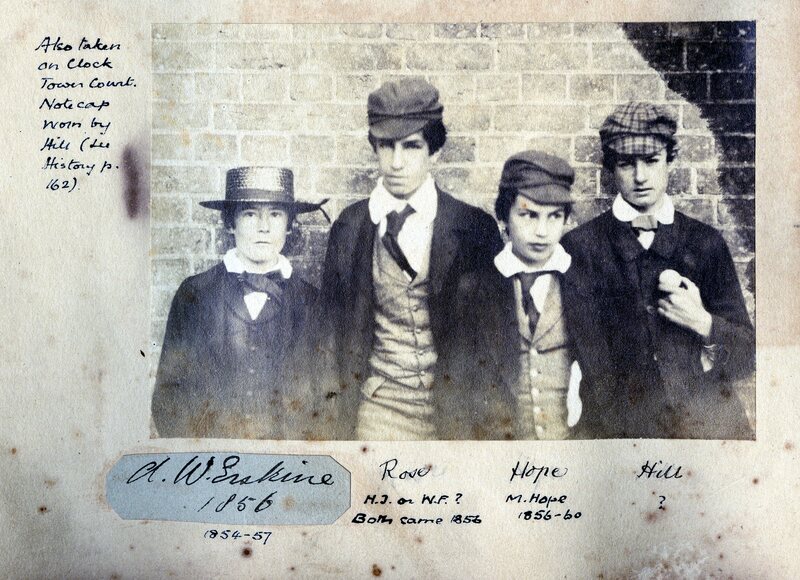 There had been a Rackets match between the schools in 1887 and 1888, but 1890 was the first year when both Fives and Rackets matches happened. The first Fives match versus Bradfield was in 1892: cricket and football matches versus Bradfield had been taking place since 1863. Radley train station opened in 1873, making travel much easier. 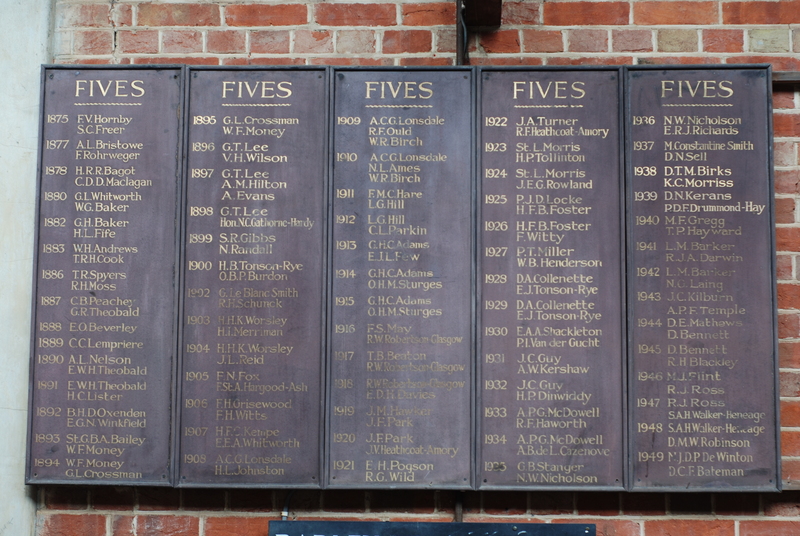 It is worth noting that Radley has the longest running Fives board in the country. Since 1875, the names of the top pair are listed, and from 1954 this extends to the top four. The list of names includes many fathers, uncles and grandfathers of current boys. Our next key character is Dennis Silk, who was appointed Warden of Radley in September1968. As a Daily Telegraph headline of the day put it: ‘Double blue is Radley Head’. Dennis Silk at Cambridge was a Rugby and Cricket blue, but had also won four half-Blues for Rugby Fives from 1952 -1955 as well. Whilst teaching at Marlborough College, he formed a doubles partnership with JF Pretlove and together they won the Cyriax Cup four years running from 1956 to 1959. He would play in the staff versus boys match and ‘the headmaster’s booming right hand’ was to be feared indeed. Ironically, soon after he arrived, two of the four courts were converted into space for the Art Department. However, his encouragement for this, amongst all sports, led to a real growth in the game at the school. The success since then has been driven by the appointment of several top quality players on staff: Simon Langdale, Richard Morgan, Chris Hirst, Bob Dolby, Ian Davenport, Stephen Jones and Ed Brooke. As is so often the case with these sports, when a motivated and experienced player is on staff, the game thrives. And so this talent on the staff side eventually led to success on the court. I say eventually as it has been oft stated that Radleians have struggled to convert talent on court and success in school matches into results at the national competitions. This is likely due to several reasons: playing predominately Winchester rather than Rugby Fives, only two courts to play on, the prevalence of skiing during the holidays and the relatively quick courts at Radley compared to those at eg St Paul’s all play a part. However, success did come and an array of talent came through the Radley ranks between 1980 and 2003. Encouragingly, the Old Radleians Club, the Radley Manuals, has reformed with the help of Peter de Winton, Tom Maconie and others, and the team played in the 2009 Old Boys Cup. Bob Dolby also set up the Thames Valley Club for all players in the region, although this is currently dormant (2009). Currently the sport is having a renaissance after a few years’ drought. Matches are played against both Rugby Fives and Winchester Fives schools. In the current academic year (2008-9), we have played Bradfield, Malvern, Oundle, Tonbridge, Winchester, Merchant Taylor’s, Derby Moor, St Paul’s and Marlborough as well as adult teams from the Jesters and the Radley Manuals. Success is varied – players tend to do very well in the (unfortunately rare) home fixtures, but can struggle when playing away. One of the advantages Radley has had is taking boys with Eton Fives experience from Ludgrove Prep School. Albert Lindsell, Max Florin, Thomas Gibbs and Hector Stirling have all shown great promise, as has Harry Over from Pilgrims’ School. Both Lindsell and Stirling reached the final sixteen at Nationals in their U14 year.